One of the key factors for a high quality tour is having the right tour guide. A good tour guide must provide accurate information about the attractions, make sure the tourists see as much as possible and have a good time. A tour guide ensures his groups get informed and learn while they travel. He/she does everything it takes to deliver a quality escorted tour. On the other hand, a bad tour guide will not provide enough information so the tourists lack knowledge about the visited place; they get bored because of lack of the guide’s enthusiasm and humor. Their trip becomes exhaustive and boring; they end up needing a rest from the trip itself. 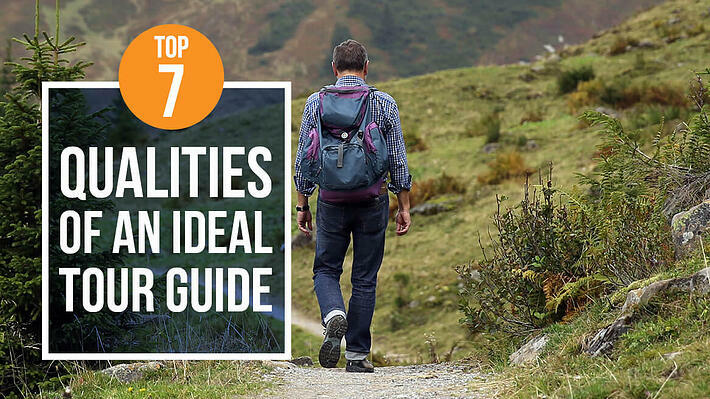 If you are planning your tours to Eastern Europe, here are the top seven qualities that make a tour guide an ideal one so you check the reviews of the one you’re planning to hire. This can help you avoid hiring the wrong person and thus avoid having a disastrous trip. An ideal tour guide communicates effectively. The tourists understand the information and ideas she/he shares. An ideal guide engages tourists by asking them questions and looking for their feedback. Tourists’ point of view matters to a tour guide. Being a good listener helps understand tourists better, their opinions and interests. To engage tourists and keep them interested, an ideal tour guide keeps the storytelling short and simple; it is clear, correct, concrete, concise and complete in order to have tourists memorize the information. If it’s too long, they will probably get bored, their attention will fade and the important information will pass unnoticed. To do a job well, one must love doing it and be passionate about it. Being a tour guide is not easy; the amount of passion affects the performance. A tour guide who is passionate about his/her job will not only list information about a visited place; he/she will share ideas and knowledge in a way to entertain his/her audience. The lack of passion in a tourist guide affects the amount of enthusiasm in tourists. A person who loves to spend time alone and doesn’t feel comfortable around people makes a terrible tour guide. Being a tour guide requires a lot of energy; spending time with people, large groups or small groups of them, drains energy easily. One must have plenty of it to make it through the day and make a tour successful. If a tour guide is not an outgoing person, there is a high possibility of a tour ending up as a disaster to the tourists. One of the most important traits of a tour guide is a good sense of humor. Tourists do get tired of walking around, listening to all the facts. History might not be that interesting, sometimes some information about tragic events is shared, so telling a joke when the things get down or tourists get a bit tired will shake them up and get them back on track. They’ll have some fun; it will put them at ease and relax them. An ideal tourist guide provides accurate and interesting information about the visited place. Each city or attraction is unique in its own way, and there is always something unusual and interesting for foreigners to learn. Sharing accurate information will enrich tourists’ knowledge and experience. Not knowing answers to their questions disappoints them and gives a bad feeling about their trip. Tourists come from various parts of the world. They have different backgrounds, social norms, culture and customs; therefore their expectations and needs are different than the ones a tourist guide is used to. Being empathic is important to make them feel comfortable and enjoy their trip. Respecting the differences and adjusting tours to their needs and wishes is crucial for a successful tour. Not caring about their needs and wishes or being disrespectful creates negative energy and discomfort within a group. Not to mention that the tour guide’s reputation will be negatively impacted. If a tour guide doesn’t know how to organize time, tourists’ expectations will not be met. A disorganized tour guide will have a group of confused and disappointed people who put their trust in him/her to show them as much as possible and make their trip as carefree as possible. An ideal tour guide thoroughly plans everything in advance, sticks to the schedule and pays attention to every detail. He/she is flexible in order to quickly make some changes if necessary to meet the needs of the tourists. He/she communicates with the tourists in a group, listens to their opinion and suggestions in order to ensure a quality time.